With increasing advancements in technology, medical professionals are equipped with the necessary tools to identify and address a broad range of potential developmental issues while your child is still in the womb. 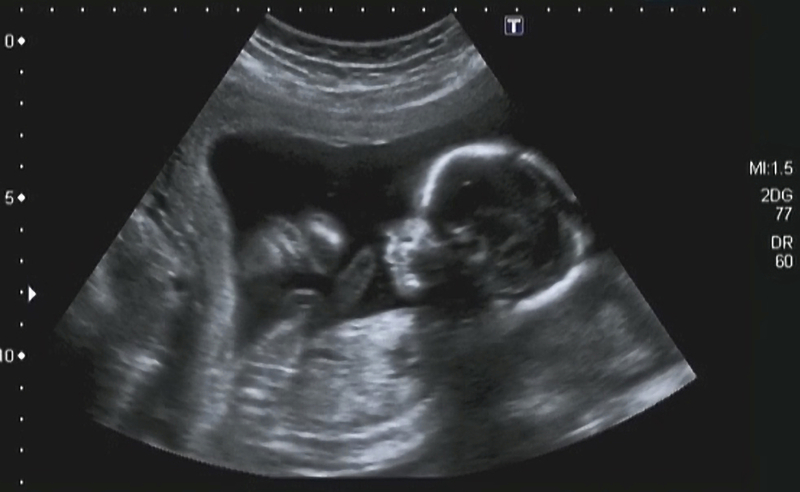 The advent of these prenatal screening techniques has allowed doctors to pinpoint birth defects and to provide parents with the knowledge that they need to make informed reproductive decisions. Unfortunately, not all medical professionals fulfill their duty to ensure that parents are thoroughly educated about all of the screening procedures at their disposal. In fact, thousands of children are born each year with birth defects and serious conditions that may otherwise have been detected with the appropriate screening tests. If your child was born with one of these conditions and you were deprived of the right to determine whether or not to proceed with your pregnancy to full term, you may have grounds to bring a wrongful birth lawsuit against these negligent medical professionals. At Fronzuto Law Group, our team of attorneys has advised and aggressively advocated for countless families whose children have suffered due to medical and pediatric malpractice in New Jersey. With a compassionate and personalized approach, we work with you and your family to ensure that you are compensated for the financial burdens associated with lifelong disability. The cost of medical bills, necessary future accommodations, specialists, and supportive techniques may loom large, but you can recover the resources necessary to provide your child with the best life possible. Our firm is committed to protecting the interests of you and your child as we work toward achieving just compensation. Speak with one of our wrongful birth lawyers today by calling 973-435-4551 (toll free at 888-409-0816) or complete an online contact form to schedule your free initial consultation. Wrongful birth occurs when a doctor fails to diagnose a birth defect and inform the parents about its existence prior to birth. Medical advances have allowed doctors to identify an increasing number of health issues in children before they leave the womb. While your child is in the womb, you may be informed of potential birth defects and other developmental issues that will make it very difficult for your child to live a long and happy life. It is incumbent upon medical professionals to administer prenatal tests and use proper prenatal screening techniques when doing so – this will allow them to determine the exact birth defects and other problems that could afflict your child after they are born. Sometimes, early diagnosis provides doctors with the information they need to prepare sufficient treatment of the birth defect. Other times, early diagnosis gives the parents the information they need to make an educated decision prior to birth. The key is early detection and diagnosis. When your child is born with a disability, disease, or other illness, it can place a financial strain on you and take an emotional toll on you and your family. A wrongful birth legal claim seeks compensation to cover the costs of caring for a disabled child, as well as compensation for the emotional harm the parents suffered as a result. This does not mean that you do not love your child or regret bringing them into the world. What it means is that the doctors were negligent in failing to properly inform you of the risks of going through with the pregnancy. Perhaps the doctor or radiologist misread an ultrasound or did not perform a necessary prenatal screening test. This not only may have endangered the lives of the mother and the child during labor and delivery, but it also may have deprived you of your right to make an informed decision about birth control, sterilization, or termination. Under New Jersey law, doctors have a legal duty to perform necessary screening tests and to inform parents of the results. Doctors have a responsibility to order the correct tests, interpret them correctly, and provide you with accurate results so that you can make informed decisions regarding whether or not to carry the pregnancy to full term. Some of these prenatal tests may include carrier blood screening tests for gene defects, a serum screening (or AFP screening), a second-trimester ultrasound, chorionic villi sampling (CVS) or amniocentesis for mothers over the age of 30, and a nuchal translucency test to determine the risk of Down Syndrome. Spina bifida – Birth defect that affects the baby’s spine and that can cause severe physical disabilities, including paralysis. Sickle cell anemia – Genetic condition that limits oxygen in the body by reducing the number of healthy red blood cells. A person with sickle cell anemia may suffering painful swelling of their hands and feet, vulnerability to life-threatening infections, and vision problems. Down syndrome – Genetic disorder that results in intellectual disability, physical growth delays, and increased risk of serious health problems such as congenital heart defects, epilepsy, and leukemia. Tay-Sachs disease (or Canavan’s disease) – Genetic disorder that destroy nerve cells in the brain and spinal cord. An infant with Tay-Sachs disease may struggle with motor skills and speech, suffer vision and hearing loss, and end up paralyzed. Larsen syndrome – Disorder that makes it hard for the bones to fully develop, leading to short stature, scoliosis, and hearing loss. Congenital heart defects – These are the most common type of birth defect, with the affected baby suffering from disrupted blood flow through the heart. Skeletal dysplasia – Also known as “dwarfism,” this genetic condition can cause the child to have abnormally sized legs, arms, and skull that are out of proportion to the rest of their body. Pulmonary hypoplasia – Congenital condition that hinders development of the lungs and that makes it difficult for the baby to breath, feed, and hear. Pulmonary hypoplasia also commonly limits heart function by causing high blood pressure in the pulmonary arteries. Trisomy 13 – Chromosome disorder that causes severe intellectual disability and that puts the child at risk of life-threatening health problems, including congenital heart defects and brain abnormalities. Most infants with trisomy 13 do not survive more than a few weeks. Trisomy 18 (or Edwards syndrome) – Genetic condition that often results in stillbirth, with just 50% of affected babies reaching the third trimester. Children who do survive typically suffer from developmental disabilities. Thalassemia – Genetic blood disorder that reduces the number of red blood cells in the body and causes anemia. A person with thalassemia might require regular blood transfusions during their life. Dandy Walker syndrome – Congenital human brain malformations that affect muscle coordination. Fragile X syndrome – A genetic condition that causes developmental problems, including learning disabilities and speech difficulties. Cystic fibrosis – Genetic disease that causes lung infections and make it incredibly difficult for the afflicted person to breathe properly. Wrongful birth is a form of medical malpractice that may provide grounds for a lawsuit. The failure of your doctor to inform you of all your options prior to the birth of your child may have resulted in wrongful birth, causing serious harm to your child and causing pain and stress for your family. Depending on the nature of your child’s illness or disease, you may be facing a lifetime of difficulty that includes costly medical bills, numerous hospital visits, consultations with specialists, and surgical procedures. While all of this is likely to be very difficult for your child, it is also likely to place a huge burden on you and your family. Trying to manage the costs and care associated with raising a child who suffers from permanent disability can be extremely difficult. That’s why it is imperative that you talk to a qualified medical malpractice attorney and find out whether there might be a way for you to seek compensation to cover the increased health care costs and other expenses that come with caring for a disabled child. An experienced medical malpractice attorney with our firm can help you explore the possibility of filing a wrongful birth claim against the negligent doctors, nurses, hospital administrators, or other medical professionals to recover the financial resources you will need to take care of your child now and in the future. You may also be able to recover compensation for emotional distress caused by the wrongful birth. A variation of a wrongful birth claim is a wrongful pregnancy claim. In a wrongful pregnancy claim, the parents seek compensation even if the child was born in perfect health. For example, some parents may seek counsel with medical professionals prior to a pregnancy because they are looking to avoid getting pregnant in the first place. If you did this, you may have sought to undergo a sterilization procedure, or you may have sought an abortion immediately after learning of a pregnancy. You have every right to expect that qualified medical professionals adequately and correctly performed the necessary procedure. However, if the doctors were negligent in any way, it may have resulted in an unwanted pregnancy. A wrongful pregnancy claim could allow you to recover compensation for medical expenses and related costs. At Fronzuto Law Group, our attorneys represent families in a broad range of wrongful birth claims, seeking full compensation for the costs that you are likely to incur for medical care and any special accommodations both in the long and short-term. We work with a talented group of life-care planning experts, economists, and medical professionals who assist us in constructing a compelling argument to support your claim for damages. It is our goal to obtain compensation for your emotional distress, as well as the significant expenses associated with the lifetime medical and care costs for your child. Contact our offices today to schedule a free initial consultation with one of our highly knowledgeable New Jersey wrongful birth attorneys: 973-435-4551 (toll free at 888-409-0816). Birth Injury vs. Wrongful Birth: Is There a Difference?